The Thunderhawk gunship swung stealthily through the night sky, settling down in a sparse clearing amongst the thick jungle. This was no loyal Thunderhawk though; it was a twisted and malformed version of it’s former self. And it bore the livery of the Emperor’s Children. Within it sat Lord Hedon, Captain of the 6th Great Company, along with 50 of his hand-picked warriors. They had avoided detection from the alien fleet in orbit, and now attempted to steal what was precious to them. Along with slaves, thought Hedon hopefully. New slaves mean new pleasures to be enjoyed – something to look forward to. Now was a time for battle, a battle that would prove to be a challenge, he assumed. He smiled and began to anticipate the repute that was coming. More high-energy shots pounded their position, and Hedon was forced back behind the rubble yet again. This was going far too slowly. The Thunderhawk had managed to blow a hole in the outer wall from numerous fly-bys, but had received a few hits and was now awaiting its cargo. Thankfully the compound seemed lightly defended, the enemy having no heavy weaponry at their disposal. At least, not that they could see, mused Hedon grimly. Surprises were always the best challenges though. It was a100 metres to the main complex from the breach, but between them the ground was littered with low dugouts from which most of the fire came. Bunkers that extended from the corners of headquarters allowed for sweeping lines of fire and crossfire, and heavier fire seemed to be coming from them. The Emperor’s Children were gathered around the breach on either side, unable to advance due to the sheer amount of firepower. A group of heavily armed Noise Marines gave covering fire from the tree line, preventing any attacks from the walls with blasts of pure noise or searing rays of ruby las-fire. Hedon knew they had to advance soon for fear of reinforcements. “A fast strike in, and out, this is what we must achieve. For Her pleasure!” screamed Hedon, his voice filling his men with wonder and purpose. They prepared efficiently, salivating at what was to come. Ryu sat in his command centre at the top of the compound as he watched his Fire Warriors perform admirably. The enemy was being kept at bay, and reinforcements were en route, but he did not know how long they would be. He felt confident that his detachment could hold of the attackers for as long as it took. Looking through his scopulars, Ryu suddenly saw grenades shoot through the breach, spewing forth thick, pink-shaded smoke. The rate of fire slowed as the warriors tried to see what was happening. “Keep on your guard. Fire at will,” shouted Ryu through his communication line. Out of no where a huge figure charged out of the smoke, a perverted Gue’laa covered in purple, pink and gold armour. Every shot was too late, missing the enemy soldier by at least half a body length. Behind him came more warriors in the same insignia, but not so magnificent. They moved quickly, jumping into fox-holes and slaughtering those they found. To Ryu’s surprise and horror, more of these beasts appeared on the wall to the left of the breach, but were not seen by those below who were concentrating on the first threat. He stared, transfixed, as they set up their weapons, his hand hovering over the communication button. Quickly, he snapped out of the trance. “Rock element, hostiles on wall, left of main body, open fire now!” he yelled quickly, with fear in his voice. But it was too late, as these warriors opened fire on his exposed men in the trenches. Warbling patches of reality screamed towards them, the sound unbearable, and he heard his warriors scream in agony as they were overcome. Huge gouges of soil were torn up by these strange weapons, along with bodies, limbs flailing and corpses disintegrating. Finally the bunkers were able to open fire, but the damage had been done, and the loathsome opponent had managed to find good cover. While this fire fight occurred Ryu turned back to the scene at the infringement. Hardly any shots were being fired, and a chill was sent down the commander’s spine as he saw the foe begin to muster a fresh charge. Ryu knew what he had to do, and he had to do it soon. Hedon smiled as he ran, his cruel blade whickering left to right, disembowelling or beheading in a single stroke. These beings were no challenge for him or his loyal followers, and they quickly swept towards the control centre. Unexpectedly, a fresh burst of gunfire came from the left bunker, three of his men disappearing in the fusillade of energy and dirt. Cursing, he and the rest of the company ducked into the nearest cover. The Noise Marines on the wall were keeping the other bunker busy, but Hedon and his men needed covering fire now, and the rearguard with heavy weapons were taking too long. A delightful feeling of uncertainty passed through the Chaos lord, and he shuddered as things came into focus. With a roar he stood against the shots being fired, pure, shimmering energy enveloping him. At that same moment, the heavy guns opened fire from the breach, ripping into the bunker. A beam of noise shot past Hedon, filling his nerves and sinews with power, and rendering the inhabitants of the bunker senseless. All around him Emperor’s Children stood with their lord, and as one they charged towards to entrance. Strangely, there were creatures there waiting for them, creatures with spines along their back and beaks for mouths. They looked fearsome, and Hedon hoped they were as good an adversary as they looked. A particularly large and scarred beast stepped forward, and gave out a screeching cry, indicating a call to war. Two can play at that game, thought Hedon gleefully. As one the charging Emperor’s Children shrieked a siren’s call, louder, more perilous, and enrapturing to behold. The fighting seemed to stop, the Tau in their bunkers frozen in wonder, while the Kroot halted before they had begun, longing and dread in their eyes. It was all that was needed for the Children of the Emperor. Within moments they were amongst them, ripping through weak flesh and crushing skulls. Hedon saw, heard, and felt the overwhelming feeling of battle, felt it course through his veins, enjoying every moment. From the flowing melee came their leader. Quickly his attention focussed on this individual, the energy around him building up to a crescendo. Together they struck out, dancing around each other, both with an unnatural agility. Blades flashing, ducking, weaving, striking, the two fought on. However, the Kroot could not touch Hedon, while the Chosen of Chaos struck his opponent with every strike, drawing blood. Abruptly out of nowhere a serrated blade struck Hedon, biting into his flesh behind his knee. Hedon turned to see a dying Kroot warrior being finished by another Emperor’s Child, after it had managed to wound him. Realising the danger, he turned back, only to have the wounded Kroot leap at him, the huge knife curving down towards him. Every muscle twitched with anticipation and wonder, a feeling of the unknown overcoming him. As if in slow motion the sword made for his head. With lightening quick reflexes Hedon dodged to his right, the blade slamming into his shoulder guard and becoming stuck fast. The Kroot warrior looked perplexed for a moment before Hedon’s own sword stabbed into it’s gut. Hedon came in close, and whispered into the thing’s ear. Rearing back Hedon raised his fist to strike, the daemon contained within it willing for the sensation of blood. It came forward at speed, pulverising the creature’s head instantly, the shock and fear washing over Hedon. The satisfaction of the kill met every desire. But soon it was gone; the desire to reach what was inside his only goal. Chief Commander Ryu had watched all this from his command station, the carnage and acts of wanton destruction, all occurring as if from a dream. His forces had been wiped out before his eyes, and the reinforcements were doubtful. Those Fire Caste left were fighting a losing battle, but one that he could attempt to save. There was only one option left in order to save what was contained within these walls, and it had to be now before the enemy managed to gain access. However the foul Chaos scum had found out what was here was unimaginable, but stopping them was all that mattered anyway. The weakling Tau soldiers were attempting to flank the Emperor’s Children with minimal success, their superior position preventing a strong counter attack. They had lost around 10 men, too many for Hedon’s liking, and this was taking far too long. A few were working at getting inside, operating as quickly as possible. As Hedon oversaw operations his keen hearing picked up a low whining, that steadily began to rise. Before he could imagine what it was, three large humanoid machines rose into the air from the other side of the base, swooping in front of his men and raking them with fire. Explosions lit up the field, Chaos marines melting before the wave of plasma and disappearing in the bright explosions of rockets. Every pass killed or wounded killed a few more, the marines hugging cover as best they could. A few stood defiantly firing sonic weapons. One scored a direct hit, the powerful wave of energy boring a hole right through a battle suit before it exploded, showering the scene with flaming parts. The lead suit landed, concentrating it’s fire on those with heavy weapons. Hedon took this as his opportunity and charged forth, the daemon calling for the thing’s blood, and Hedon could no longer resist the call. Barely ten feet from his goal the machine turned to face him, and unleashed a short burst. The rounds struck out at Hedon, but he kept going, the daemon pulling him forward with greater and greater speed. Every shot that hit home was a new experience, the pain and pleasure rising as one. With one last leap, he struck out at the Tau commander, the daemon weapon ripping through metal and into the soft flesh behind it. Hedon bathed in the glory of his victory, and when the daemon had fed, he stood roaring his defiance upon the wrecked shell. His elite warriors finished the remaining enemy, feeding upon the pain that they delivered. Everything had gone to plan, and now it was a simple matter of retrieving the prize. The Thunderhawk soared into the night sky as Tau reinforcements swept through the ruined base. Inside were the signs of torture and torment, those few Fire caste members that had survived coming under the scrutiny of the vengeful Emperor’s Children. Scenes of horror had met them in every corridor and every room. But there was one thing missing – the Council Members who were on a tour of the local garrisons. Among them was a revered Ethereal, and various members of the other Castes. Death had come, and the Tau were shocked and stunned at the brutality wrought upon them, seemingly for no reason. Indeed, Hedon did not have a reason, he mused, as the Thunderhawk exited the atmosphere. He had the Tau Council Members secured at the back of the Thunderhawk, drugged on hallucinogenic cocktails that brought their worst nightmares to the fore. That was all he cared about - the urge to indulge in their pain almost overcoming him. Something inside him said that the raid had been a waste, that the losses of his men outweighed its importance. A nagging feeling told him that the entire mission had no importance and the only reason he had carried it out was for his own pleasure. He knew that the voice was right, of course, but he pushed it deep inside himself and let the sensations of victory overcome him. The rapture from fulfilling a deed for Her pleasure far outweighed any tactical goals. It would be a new experience to torture these beings that had such a bond and unity, one by one, the most important first. Feeding on a new experience was all that mattered any more. A copy of Chaos Space Marines is needed to play a Forgotten Children Company. HQ: The 29th Great Company does not associate with many daemon princes or greater daemons, as they refuse to be bound by any oaths of service. 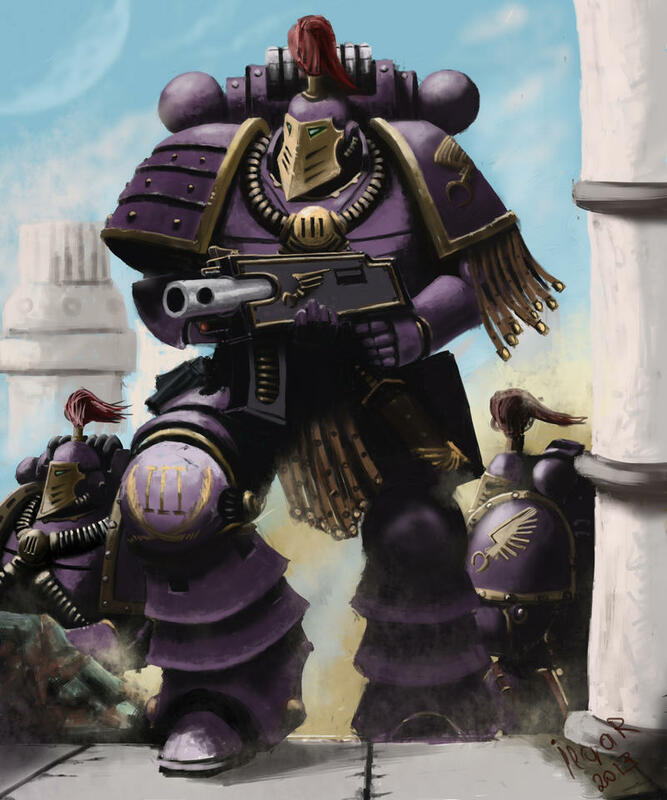 One HQ pick must always be an Emperor’s Children Marine (without Daemonic Stature). 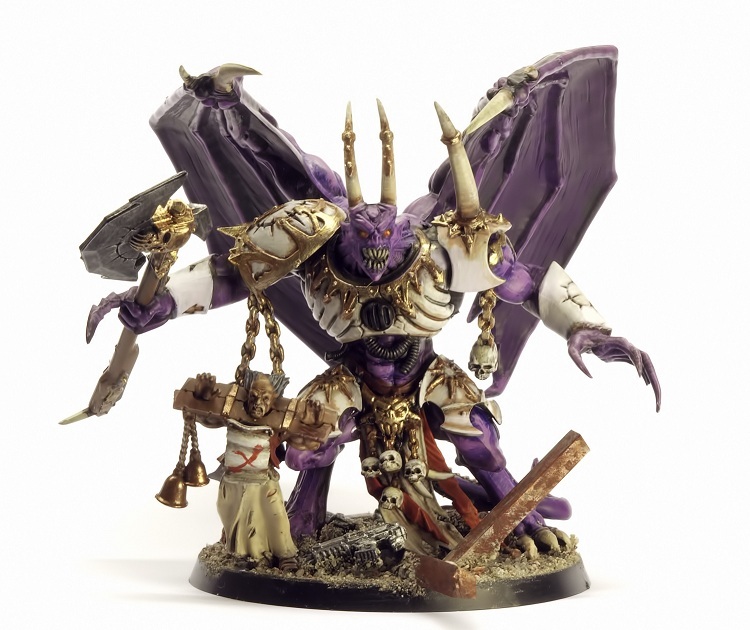 A greater daemon of Slaanesh may only be chosen if the Emperor’s Children HQ pick has a retinue. Troops: The 29th Great Company chooses to do battle as they have done since their initial founding. They may only field Daemons after they have taken 4 troops choices of CSM or 2 troops and two heavy support choices of CSM. Heavy Support: Aside from the sonic destruction afforded by the Noise Marine cult, long-range weaponry is poorly regarded among the 29th Great Company, especially when combat prowess can be proven in hand-to-hand combat. Troops and Heavy Support picks may not take any non-sonic heavy or special weapons except for flamers. Skalathrax is ours! In any game against a World Eater army, both sides are subject to the intense hatred of their Patrons as well as the failed battle on Skalathrax. Chaos Space Marines from both Chapters hit each other on a 3+. This includes Chosen. A space marine long before the recovery of the primachs, Lord Commander Bowman commands the 29th great Company in his image of Emperor’s Children perfection. Since the Inter-legionary war, he has sought to rebuild his legion to the glory of Fulgrim. Lord Commander Bowman was a crèche raised child of the emperor. 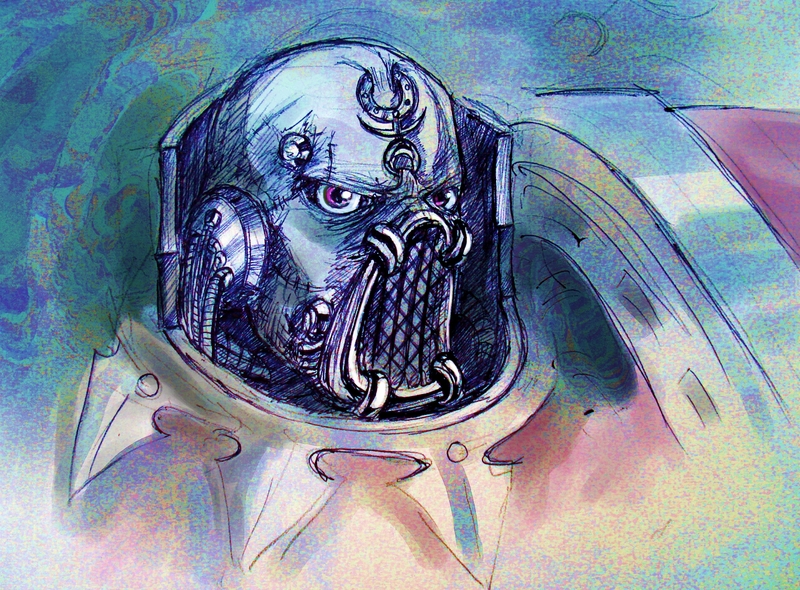 His earliest memories are of Combat Drills in preparation for the Emperor's Children crusade through the universe. A genetically modified human, he differs from the genetically engineered praetorians of the Emperor in that his genetic code derives from Fulgrim, primach of the Emperor's Children, making him a gene son of his primach, not of the Emperor. Lord Commander took his place amongst the first 1000 Emperor's Children to wear the armor, and set upon the remnants of humanity with the task of bringing the light of the emperor to them. On Earth a laboratory accident destroyed the stored primach genetic code, and many of the newer gene marines. With the fateful accident, the Emperor's Children were unable to create more marines to bolster their numbers, and each was required to learn the tasks of the specialist marines, so that to the last man the Legion would fight.. Lord Commander Bowman, already a Librarian of no small measure, set it upon himself to master each and every task a marine might be asked to perform. He obtained the title of Master Apothicarian and Weapons Master before Fulgrim was found. After Fulgrim was found, the remaining Emperor's Children crusaded with him while the newer geneseed marines were being created. Once enough were ready to field a full Great Company, Fulgrim bestowed upon Lord Commander Bowman the rank of Lt. Commander, and the task of battle testing the new geneseed marines. 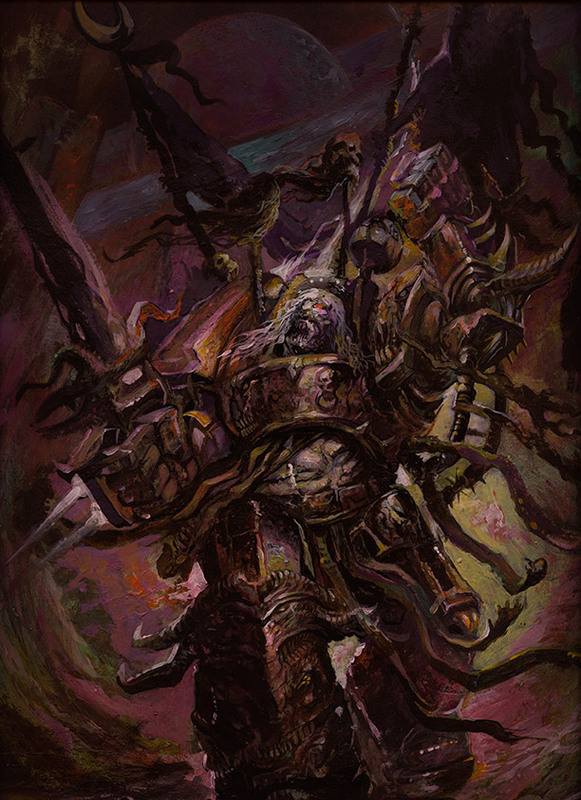 With the progress of the geneseed marines integrated into the Emperor's Children, and the return to their independent crusade, Fulgrim then gave the task of finding initiates on each of the worlds they liberated, those who stood with the Emperor's Children to fight for the light of the Emperor. With the creation of the 29th Great Company, Fulgrim recognized Lord Commander Bowman's tireless service to the Emperor's Children with command of the newest Great Company. Only one more great company would be raised before the great awakening. The 29th Great Company took to the stars, their marines an example to all, their doctrine as perfect as Fulgrims. As was expected of one who had trained the member’s initiates, the command staff of the 29th sought to prove themselves in word and deed. During the inter-legionary war, the 29th Great Company was involved in many of the actions of the legion. On Terra, they fought the rear elements of many of the defending forces, while most of the Emperor’s Children were relishing in their new found patron. After Horus was killed, the Emperor’s Children and other Legions cut a swath of corruption from Terra to the Eye of Terror. There the Lord Commander saw the madness of Daemonhood, and took the 29th Great Company out of the Eye of Terror, establishing a doctrine of mobility and secrecy to protect his legion. With the battle at Skalathrax freshly over, the Lord Commander saw that even the perfection of the Emperor’s Children would be corrupted. His mind made up, the 29th Great Company set upon a task to rebuild the entire legion as it stood, proud. Though their allegiance was true to Slaanesh, their new patron, their minds were Fulgrims. No records of the Emperor’s Children home world exist outside the vaults of the High Lords of Terra. But the oldest members of the Legion still remember the twilight world of Chemos. Following the Heresy Imperial forces assaulted their home world from orbit, intending to destroy their fortress-monastery and eradicate any trace of Chaos from the world. To this date no information of Chemos has been recorded, including a record of Exterminatus, in the databases of the Imperium. The Emperor’s Children 29th Great Company does not call any one world home. Instead they still maintain the fleet that was given to them by Fulgrim. Composed of pre-Interlegionary War ships, the 29th has access to many ships not found in service anymore. They maintain two fully functional Apothicarian ships, quite capable of elevating new initiates to marines. There is a goliath Forge ship, capable of producing the Great Companies equipment, vehicles and ammunition. The forge ship is capable of producing vehicles up to the size of Dreadclaws, Thunderhawks and Land Raiders. The warships of the 29th are usually of the smaller and lighter variety, used to perform surgical strikes against the enemy. The Flagship a Gothic Class battle ship, the Remembrance is almost never seen in battle, as it is used to defend the non-combatant ships of the Fleet. In addition to the Space Marine warships, the 29th Great Company maintains five Imperial Regiment ships. Each ship is capable of transporting a host of non-marine combatants. As the 29th uses a selection of non-marine troops, these ships prove invaluable in moving their forces through the depths, of space. The 29th is fielded exactly as they have been since the teachings of the Emperor and Fulgrim. They are the surgeon’s instruments of war. They strike where needed using a multitude of tactics to accomplish their task, and then leave the battle field with their prize. Often times they arrive in an area, strike and leave before the local defenses can be mustered, while the enemy is left confused. When there is a protracted engagement expected, the 29th employs their cohorts of non-marines to hold the enemies attention, while they obtain their objectives. These cohorts are composed of disillusioned Imperial Guard regiments, entire populations of hives gangs, long forgotten beastmen regiments, and a war band of Eldar Dissidents who joined with the 29th several millenniums ago. While many think the 29th Great Company has not fallen to Slaanesh, those “prizes” taken from the battle field would assure them that Slaanesh is paid homage in all of her glory. Lord Commander Bowman maintains the 29th’s organization as he maintains their combat doctrine, strictly by the teachings of Fulgrim and the Emperor. Every detail of the Emperor’s Children hierarchy is maintained, though the worship of Slaanesh has changed must of the meanins. 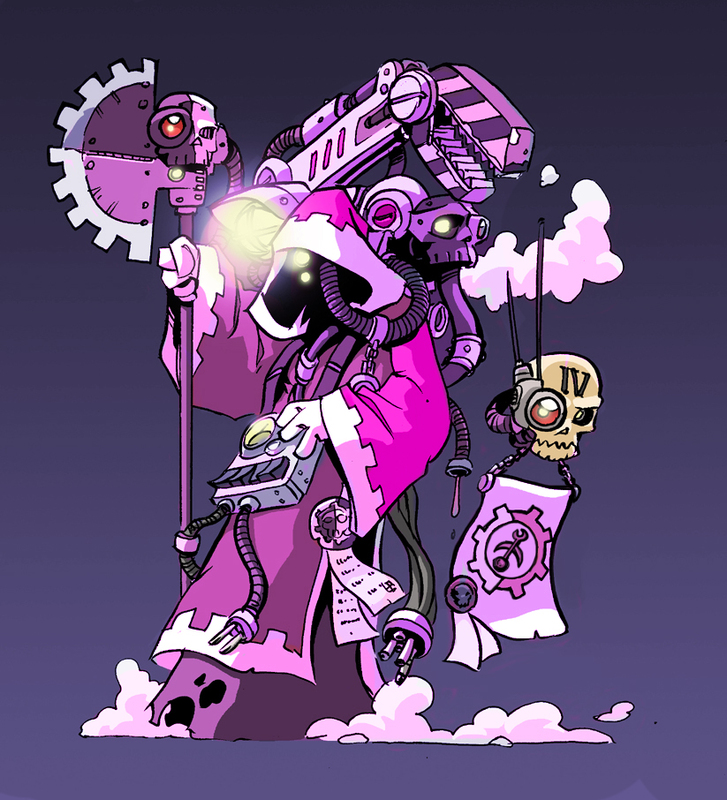 The Lord Commander has preserved many of the positions that other legions have abandoned, such as the Tech marine, the Librarian and the Chaplain, though now their tasks are different, each is still trained in the manner of an Emperor’s Children. In many cases this means that their training is much more complete then those of their Imperial counterparts, as the Lord Commander and his staff still remember the trainings and their true meanings. "The Emperor's Children will raze the universe in the name of Fulgrim and Slaanesh!" Service to Fulgrim’s ideals and the ideals of the emperor’s Children come before all other considerations. The 29th Great Company has been know to fall upon other Emperor’s Children armies that they feel have lost the faith in Fulgrim, or have strayed to far from the teachings of the Emperor’s Children. Their geneseed is used to create new Emperor’s Children who are taught the correct way. Those Emperor’s Children who show marks of possession or abomination are segregated into smaller warbands, and allowed a level of autonomist command. 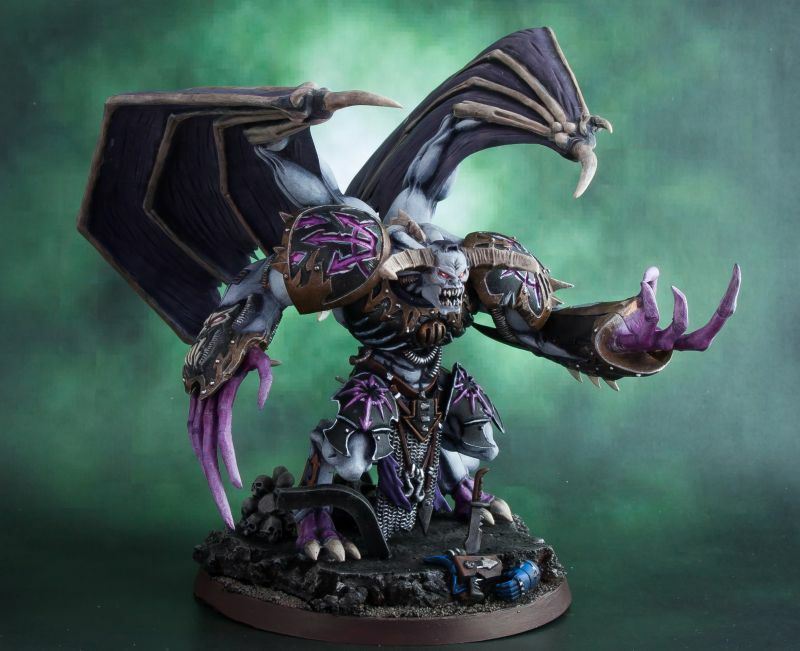 When the Lord Commander finds that they are still true Emperor’s Children he allows them to leave the Great Company, to spread the word of Fulgrim and Slaanesh, many times taking small warbands of Guardsmen and mutants. Knowing the affects that exposure to the Warp has on gene-seed, Apothecaries in the 29th Great Company avoids contact with warp entities. As all members of the 29th are pure Emperor’s Children Geneseed, they avoid the corrupting influence of Chaos where they can. As they have the capacity to elevate humans to Marines, they harvest geneseed when ever they can, and use it in trades with Fabious Bile, for materials and knowledge. The 29th will go to great lengths to prevent Imperial legions from recovering their geneseed. "Children of the Emperor! Death to his foes!" Battlecry of the Emperor’s Children, pre-Horus Heresy. “For Fulgrim and the Emperor’s Children, unleash Slaanesh’s favor upon her enemies!” Battlecry of the 29th Great Company, post-Horus Heresy. As a note for people who are finding out the board is messed up. Some time last night we lost 1/2 of our Database. Doesn't look like any hacks (though we have had alot of web crawlers hitting us and a few "scans"), so that means the database is really messed up. Really messed up. Like much of it missing. The posts text is there, but users are gone, and other tieing tables are gone. I am trying to recover more of the site, but right now, assume most things are gone. Sorry about that, working with the provider to see if we have SQL backups, to at least roll back a couple of days. More information will come as I get it.